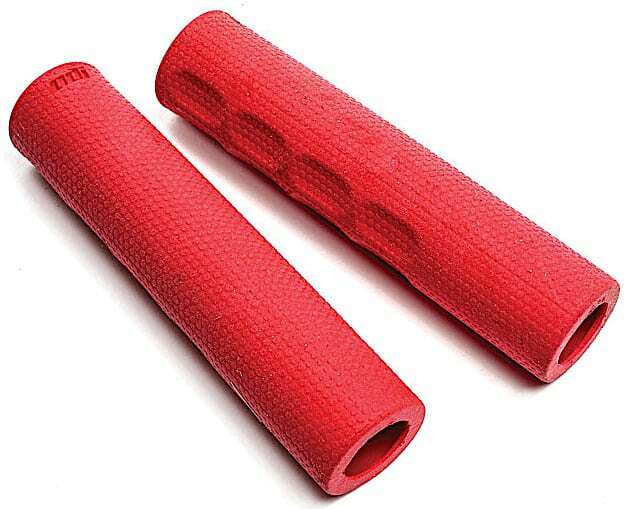 There are some riders who won’t ride with anything other than silicone grips. While ODI is known for its lineup of lock-on grips, the F-1 Series is its newest line of lighter weight grips for gram counters. We have several test riders who swear by silicone grips and were anxious to try out the new Vapors. ODI hooked us up with some new grips to put to the test on our local trails. 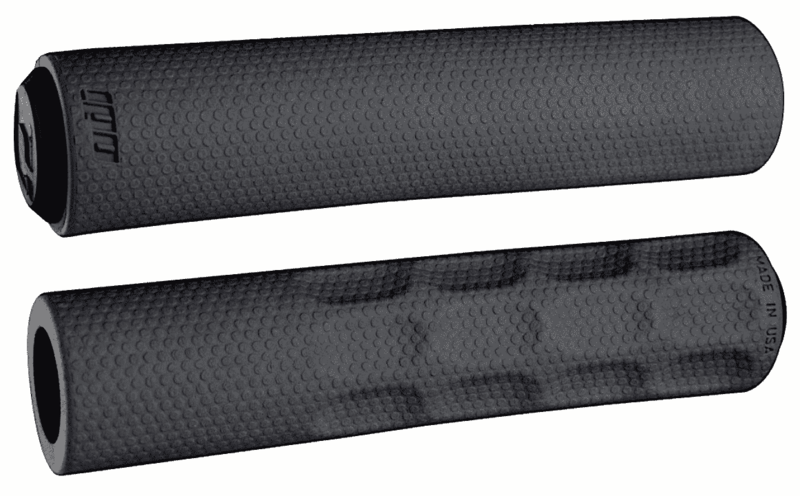 The Vapors are lightweight, minimalist grips for the dedicated cross-country rider. 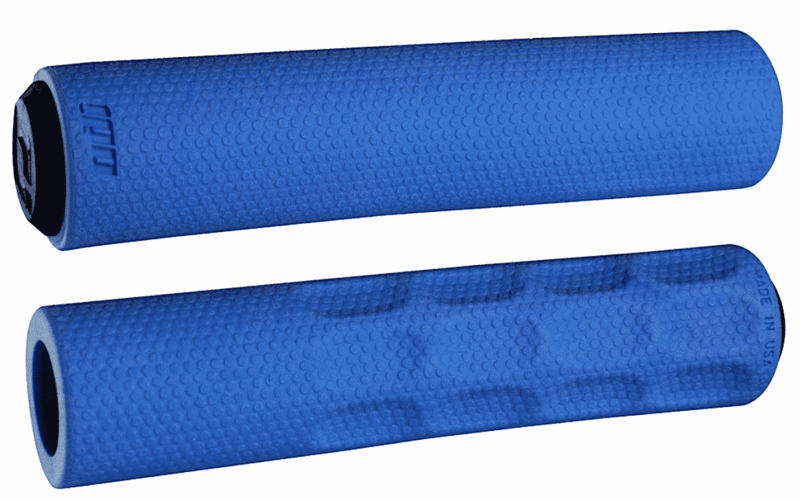 There are two grips in ODI’s F-1 Series—the Vapor and Float. The Float is similar to the Vapor but has a completely smooth surface for a more consistent feel. 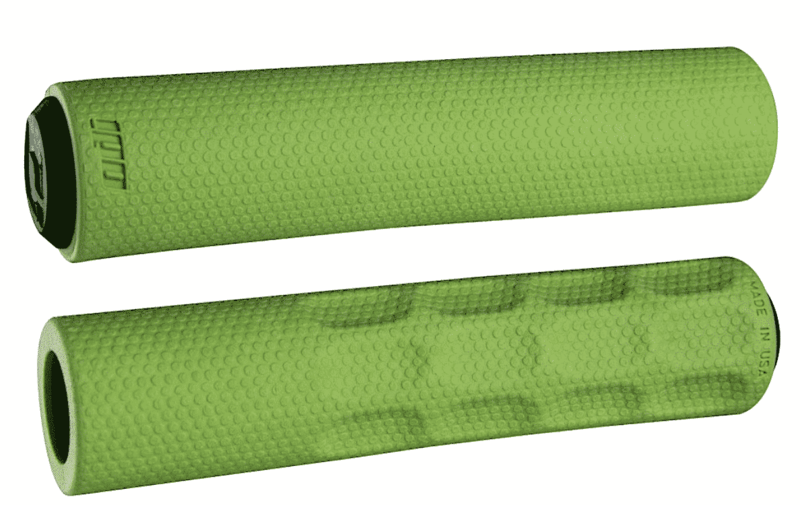 The Vapor grips tested have a special surface pattern and finger cutouts to provide a unique fit. ODI uses its A.I.R.E. compound that infuses air in the grip compound to reduce the overall weight by 30 percent. 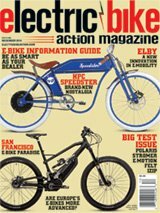 The Vapor is designed to reduce vibrations for more comfort, especially during longer rides. The Vapor has a 31.5mm diameter and comes in four different colors. Retail price on the Vapor grips is $20 with a weight of 67-grams for the pair. They are made right here in the USA. We installed the Vapors on one of our favorite test bikes with Enve carbon handlebars. Installing grips like this can be tough, but with generous amounts of rubbing alcohol, we were able to slide the Vapors on without a problem. We adjusted the grip with finger cutouts facing down for the most ergonomic position possible. We were impressed with how soft the compound was, especially with the right pair of gloves. The 31.5mm diameter was thick enough that we felt like we had something to hold onto, and the finger cutouts added to the comfort. On rougher sections of trails with minor chatter, the grips did feel like they provided some damping, keeping our hands from getting tired. Over the course of our testing, the Vapors proved to be comfortable, but the material did start to break down a little quicker than we would have liked. These kinds of grips aren’t known for longevity, but the Vapors seemed to dry out after just a few weeks of use. The Vapors are a good set of grips with a comfortable and ergonomic design. The price tag isn’t too steep, especially compared to other lock-on grips currently available. If you want to shave a few grams off your bike and are looking for grips that feel like a Tempur-Pedic mattress, these are worth a shot.